Canada Basketball announced its final 12-man roster for the U17 Men’s team this morning, returning eight players from the 2015 silver medal squad. The squad heads to Toulouse, France for a series of exhibition games against Australia, Argentina and France before heading to Zaragoza, Spain to compete in the U17 FIBA World Championships. Last year the U16 team took home a silver medal at the U16 FIBA Americas Championships after giving up their lead in the fourth quarter to Team USA. This years team will sure to be carrying that chip on their shoulder when they head into competition, and look to improve on the programs best ever finish from last year. 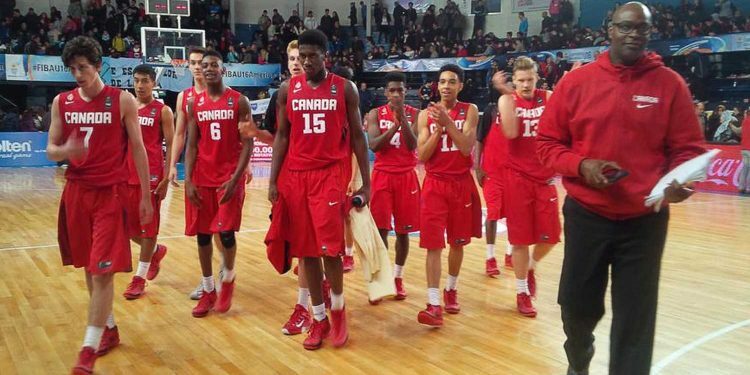 Team Canada is currently ranked 3rd globally in the FIBA youth men rankings.